1. 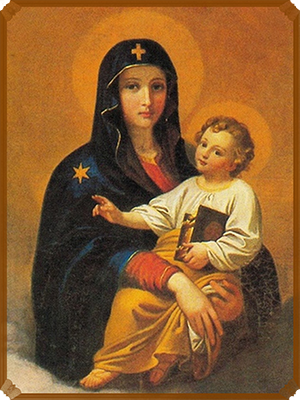 What do you mean when you say that Our Lady of the Snow is a traditional Roman Catholic parish? Our Lady of the Snow is a traditional Roman Catholic parish. At Our Lady of the Snow, only the traditional Latin Mass is offered. This is not because we are simply old-fashioned and prefer the reverent atmosphere of the ancient liturgy to that of the more casual services which have become the norm today. Nor have we chosen to retain the traditional Mass out of stubbornness or disobedience. Rather, we act in obedience to past infallible teachings of the Catholic Church. We have kept the Latin Mass because it is the Catholic thing to do. Even the Protestant reformers recognized the connection between Church teaching and the Mass. Luther felt that by overthrowing the Mass, he would overthrow the papacy. He and other Protestant reformers made it a point to eradicate the idea of sacrifice from their "reformed" liturgies. Altars and crucifixes were removed, and Scripture readings and sermons replaced the concept of the Real Presence of Christ in the Blessed Sacrament. This was done gradually, so that Catholics, who, after all, were going to the same churches and often had the same pastors, were hardly aware that they were little by little becoming Protestants. Since the early 1960's, many of these same changes were gradually introduced into Catholic churches. Then in 1969, the Mass was rewritten by a Vatican commission assisted by six Protestant theologians. No references to the Mass as a sacrifice remain in the new liturgy, which is defined as "the memorial of the Lord" and closely resembles a Protestant service. The New Mass is not an expression of the traditional Catholic Faith but of a new ecumenical religion. 4. What does "Tridentine" mean? The word "Tridentine" is simply a reference to the fact that the Latin Mass was codified by Pope St. Pius V shortly after the Council of Trent (1545-1563), from which is derived the term "Tridentine." Contrary to what some people think, Pope St. Pius V did not issue a new Mass but simply unified the already existing liturgy. His Quo Primum decree not only declared that this Mass was to remain unchanged for all time, but it forbade the introduction of new Mass liturgies. The Mass is offered in Latin because it is a "dead" language. As it is no longer spoken as the vernacular language in any country today, Latin words do not change in meaning. The English language we speak may be easier to understand, but because of slang, colloquialisms and various local influences, the words we use vary in their meanings from place to place and year to year. As Pope Pius XII explained, "The use of the Latin language... is a manifest and beautiful sign of unity, as well as an effective antidote for any corruption of doctrinal truth" (Mediator Dei). As for the difficulty of not understanding Latin, most missals display the English translation side-by-side with the Latin text. Even children learn to use them with ease and soon know by heart even many of the Latin prayers. For centuries, a Catholic could attend Mass anywhere in the world and always find it the same. Were it possible to travel in time, the same would still hold true: a Mass offered by an Catholic priest living in Rome in 570 would be nearly the same as that offered by one offered in the same city in 1570. Moreover, that Mass offered in 1570 would be the same as one offered by a priest living in Nagasaki in 1940 or here at Our Lady of the Snow today. This fact reflects clearly two of the four marks of the Catholic Church - its unity and catholicity, both in regard to location and time. 7. Isn't the Latin Mass unsuitable for modern man? To satisfy the justice of God for the sins committed against Him. The Mass is, moreover, the public worship offered by the entire Church to God through Jesus Christ Who, as the Eternal High Priest, offers Himself anew to His Eternal Father as He did on the cross. He is the Lamb of God, the spotless Victim Whose sacrifice takes away the sins of the world, "standing as it were slain" (Apoc. 5,6) — that is, offering to His Heavenly Father again the sacrifice of His life on the cross. The Mass, then, is the fulfillment of the prophecy: "From the rising of the sun even to the going down...in every place there is sacrifice and there is offered to my name a clean oblation" (Mal. 1:11). "And because, by the divine right of apostolic primacy, the Roman Pontiff is at the head of the whole Church, We also teach and declare that he is the supreme judge of the faithful; and that one can have recourse to his judgment in all cases pertaining to ecclesiastical jurisdiction. We declare that the judgment of the Apostolic See, whose authority is unsurpassed, is not subject to review by anyone; nor is anyone allowed to pass judgment on its decision...."